Are you finding your search for used trucks for sale in Milwaukee difficult and stressful? No need to search other Chevy dealers in Wisconsin for used trucks for sale in Milwaukee. Ewald Chevrolet Buick offers a great selection of used trucks for sale near Milwaukee? It no longer has to be hard to find the right used trucks for sale in Wisconsin. When you go to your Ewald’s Chevy dealer in Wisconsin it is easier than ever to find the used trucks for sale near Milwaukee. Chevrolet Buick is conveniently located in nearby Oconomowoc WI and wants to be your Chevy dealer in Wisconsin. Ewald’s Chevrolet dealers in Wisconsin have the used trucks for sale near Milwaukee that you have been longing to find. When it comes to used trucks for sale near Milwaukee, you can find used Chevy trucks for sale near you like the used Chevy Colorado for sale. Come on out to Ewald’s Chevy dealer in Wisconsin to check out our used Chevy trucks for sale near you, including the used Chevy Colorado, and claim on as your own. Not only does our Chevy dealers in Wisconsin have a wide selection of used Chevy trucks for sale near you. We have some of the most affordable prices on our used Chevy trucks for sale near you as well. This makes it even easier to find just the right used Chevy Colorado for sale. What more reason do you need to come to your local Chevy dealers in Wisconsin of Ewald Chevrolet Buick. If it is used Chevy trucks for sale near you like the Chevrolet Colorado that you are after we have just the one for you at Ewald Chevrolet Buick. 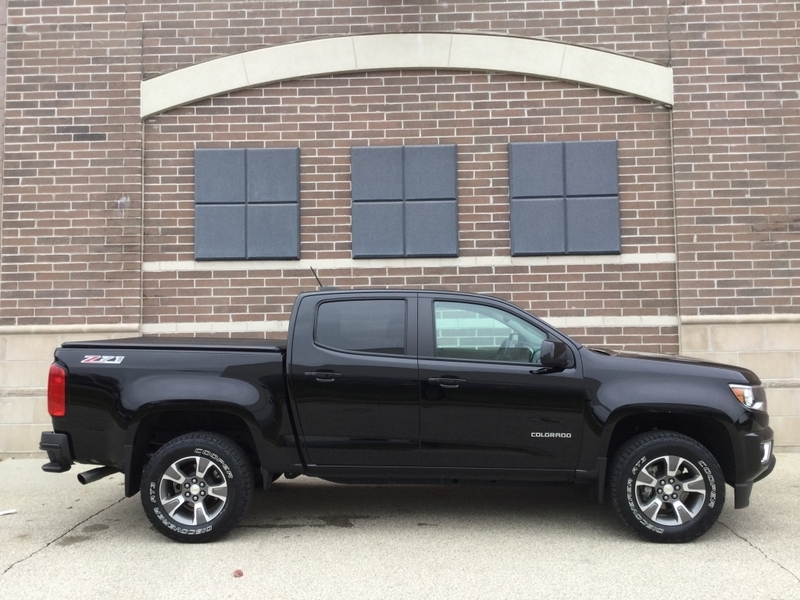 Like the used 2015 Chevrolet Colorado Z71 4WD for sale. This used Chevy Colorado for sale has a spacious interior and great towing capacity. The used Chevy Colorado for sale comes equipped with heated leather seats, MyLink audio with touch-screen, Bluetooth connection, and more. Ask your knowledgeable sales team to take this used Chevrolet Colorado for sale to see it and take it out for a test drive today. Let us at Ewald Chevrolet Buick help you find the right used Chevy trucks for sale near you to meet your needs. When it comes to used trucks for sale in Milwaukee, choose a used Chevy Colorado for sale from Ewald Chevrolet Buick. Come to your local Chevy dealers in Wisconsin at Ewald Chevrolet Buick for our selection of used Chevy trucks for sale near you today. Find Ewald Chevrolet Buick located at 36833 E Wisconsin Ave Oconomowoc in WI, 53066. Or you can give us a call at Ewald Chevrolet Buick by dialing (262) 226-2842 to schedule your test drive. Don’t keep searching other Chevy dealers in Wisconsin trying to find your next Chevy truck when we have the used trucks for sale near Milwaukee that you seek right here. We look forward to meeting you at Ewald’s Chevy dealer in Wisconsin and want to answer any and all of your questions about the used Chevy trucks for sale near you today.